I finally had time to sit down and publish these photos which was taken during the making of Alphonso II. I happened to see this $18 cheap casing one day at SLS and here it was back home. The casing core for A2 is monsterous. 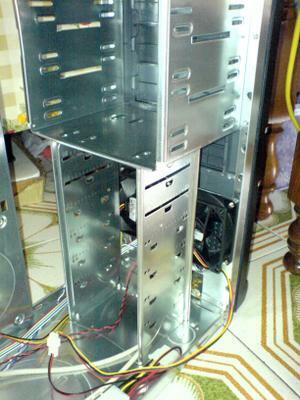 It has room for 4 casing fans. These 2 are from the front blowing towards the back. Here is another clearer view of the front fans. I chose the Coolmaster Sleeve fans for these since I had overstock of it myself. 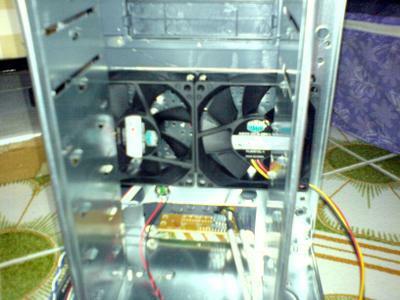 Ok, here is the 2 back fans. I will have to split this up. 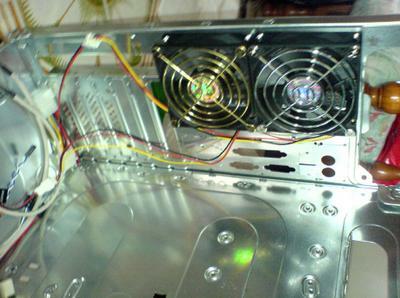 So the inital mounting of the fans before the installation ends here.